I am quite certain I’m not alone when shaking my head periodically over stupid marketing mistakes or frustrating customer service travails. Over the past few weeks, I have shaken my head so much though that I’m growing concerned about the impact on my brain from all that jarring movement. The missteps have involved utility and cable companies, retail stores, a major bank, and a daily newspaper. And there isn’t any social media outreach or clever slogan that can replace simple research or focusing on good customer service instead of focusing on how to address complaints. In other words, stop staring so much at the trees and take a broader look at the forest you’re creating from time to time. First, let’s talk about marketing miscues. While watching the Olympics on TV the other night, an ad came on for WalMart, not a bastion of union love and Made in the USA pride for sure. The ad was about how much WalMart is pledging to support U.S-made products and the workers who manufacture them. Unfortunately, the marketing department at WalMart apparently doesn’t have too many classic rock fans on staff. If it did, they would have caught that the theme song they decided to run at full volume during the commercial was Working Man by Rush, which is an iconic Canadian band. 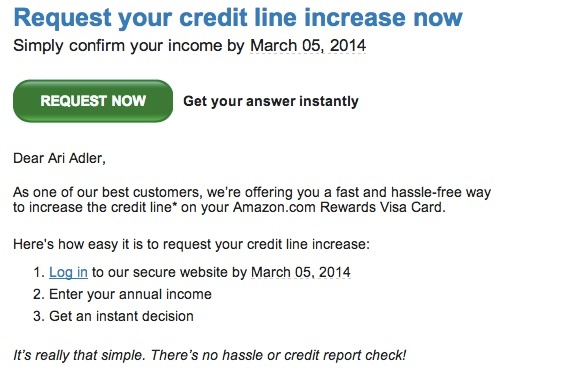 Then, just this weekend, I received an unsolicited email from one of my credit card companies offering a hassle-free, credit-check free increase in my credit line. I just needed to click the button linked in the email and I would be on my way. Spam! you say? Actually, I think it’s legitimate, but there’s no way to prove it. The most ridiculous part is that the bank has a Secure Messaging Center that allows you to correspond with the bank (and vice-versa) within their system once you’ve securely logged into your account. I have forwarded the email to the address the bank uses for customers to report phishing attempts so that they can either start working on this fraudulent scam or walk down to the marketing department and smack someone upside the head. I also noticed this weekend that my local daily newspaper, the Lansing State Journal, ran yet another letter to the editor that was factually inaccurate. As a media relations professional, it has always frustrated me how much newspapers claim to pride themselves on truth and accuracy, and then fill their opinion pages with rubbish. I’m not lamenting opinion columns by newspaper staff or the public that might have a different take on an issue than I do. I’m talking about people printing absolute falsehoods because the newspaper fact-checks their news but lets opinion trample the truth. It makes it tough to believe the marketing pitches from a newspaper about how they can be a trusted source when they are printing things that can’t be trusted. Customer service is becoming a bit of an oxymoron in many companies, too, with a focus on outreach through social media to address concerns people have. Here’s a concern I have: your customer service is horrible and whitewashing it with public relations outreach after the fact isn’t going to save you. 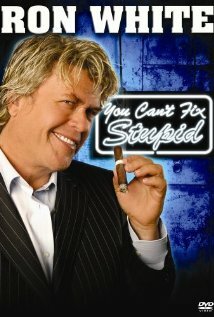 A classic example of this is the cable company Comcast. For years now, @ComcastCares on Twitter and other outlets has been touted as a great example of social media customer service that is responsive and well-liked. Unfortunately, Comcast as a company is considered vile by many of its customers. Just say something on Facebook or Google Plus about Comcast and watch the hate mail pour in on your comment stream. I discovered HBO GO is available as a channel on my Roku streaming device. I was excited because it meant I could stop using Comcast’s menu system that is as complicated as the family trees on Game of Thrones. In a strange twist, I actually started watching Game of Thrones after receiving a free subscription to HBO from Comcast because they were trying to make up for a massive billing mistake on their part. 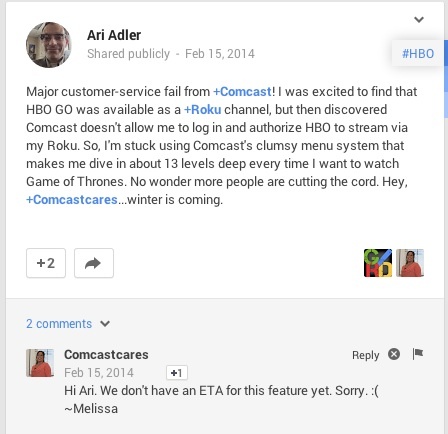 Unfortunately, Comcast isn’t one of the cable companies that allows you to log in to HBO GO on Roku. When I lamented about this on Google Plus, I tagged Comcast and ComcastCares. Of course the main account ignored me but ComcastCares responded within minutes. It wasn’t a particularly good or useful response, but at least I knew someone had heard me. A local municipal utility company in Lansing, Michigan also suffered a massive credibility crisis back in December when ice storms wiped out power lines and the electricity they provide to area residents, in some cases for more than a week. Information was hard to come by and what was being delivered was questionable in terms of accuracy. After a public outcry over the Lansing Board of Water and Light needing to do a better job, the utility’s response was to post an opening for a social media coordinator. Of course! That makes perfect sense. After all, when I’m frustrated with a utility because my pipes are about to burst and food is rotting in my refrigerator, what I really wish I had was some great outreach via Twitter. Or, maybe, I’d rather have my electricity restored. And perhaps the money spent on social media whitewash might be better spent on restoring power and making sure it stays on. Some days, I don’t think some places even care enough to try anymore. Take a local store in my town called Meijer. It’s a Michigan-based company so many friends and I have tried to look past problems it has because we want to support the home team. The biggest issue people complain about is growing frustration with a reliance on self-checkout lanes that have lackluster scanners and a cumbersome layout. Most people who lament about not shopping there anymore seem to cite that as reason number one for their decision. I have learned to shop there at night since their checkout system is a bit more tolerable with fewer customers trying to use it. However, a recent trip there and responses to complaints I filed about my experience have forced me to join the flock of those seeking my groceries and home supplies elsewhere. It was shortly after 10 p.m. when I stopped in to buy a few things, the bulk of which were in the toiletries section. Ten o’clock in the evening is late but not very late and considering the store is open 24 hours, it seemed too early for entire sections to be shut down for cleaning. But, alas, I left empty-handed with not a single toiletry item in my bag. When I inquired at the “customer service” counter about that section of the store being entirely closed off to customers, they shrugged and told me sorry, there was nothing they could do. I reported my frustration with the situation and the response to corporate headquarters. They forwarded it to the store manager who emailed me to say he was sorry, but cleaning was necessary and had to be done some time. I agree, but as I mentioned the store is open 24 hours, so how about cleaning at 2 a.m., or only cleaning certain aisles at a time instead of shutting down an entire corner of your store!? I have yet to find a more important job than Customer Service. It is sad that people feel it is beneath them, because some day businesses will realize how important it is to their own success (or failure). Well said. After all, no matter how good your PR and marketing teams are, they will never overcome horrible customer service. Fix the customer service first instead of whitewashing it with cool tech tools. And take the fun stuff away from the marketing teams for a while so they can spend time on the front lines dealing with customers and their personal frustrations. Maybe then you’ll be able to market your product without it resulting in a violent shaking of heads. UPDATE: I’ve written a follow-up post about replies I received from the various organizations. Advertising has been blamed for a lot of things in this world — including hyperactive children, obese adults and, now, killing WalMart employees. The tragedy of a man’s death in a New York state WalMart on “Black Friday” this year really has me thinking we need to put an end to the madness that is the post-Thanksgiving holiday shopping stampede. In the latest case, that stampede was literal and Jdimytai Damour, 34, was crushed when a throng of unruly shoppers decided a great deal on Christmas presents was worth more than civility or even human life. For years, we have watched as retailers have opened their doors earlier, many now forcing employees to be ready and smiling at 4 a.m. We have seen the advertising intensify. We have seen the deals seemingly get so good no one can possibly pass them up. Retailers have increased their pitchmen’s shouting volume, their outlandish claims and their audacity to force employees to bid an early goodnight to family as they prepare to earn a bleary-eyed buck on the day after Thanksgiving. It has been annoying and frustrating — but is it responsible for a man’s death? If this case proceeds to a judgment against WalMart or even an out-of-court settlement, you’ll see a growing crowd of salivating trial lawyers the likes of which even the WalMart stampeders would cower from. Mr. Damour’s family deserves our sympathy and, if at all possible, those responsible for killing this man deserve to be punished. But let’s not lose sight of the fact that neither WalMart nor their advertising agencies crushed Mr. Damour. WalMart shoppers are the killers in this scenario. Advertising informs, titillates and entices. Advertising drives us to take action and be at a certain place at a certain time for a certain deal. But advertising in no way is responsible for people giving up all sense of decency and storming a discount retailer so they can save a few hundred dollars. 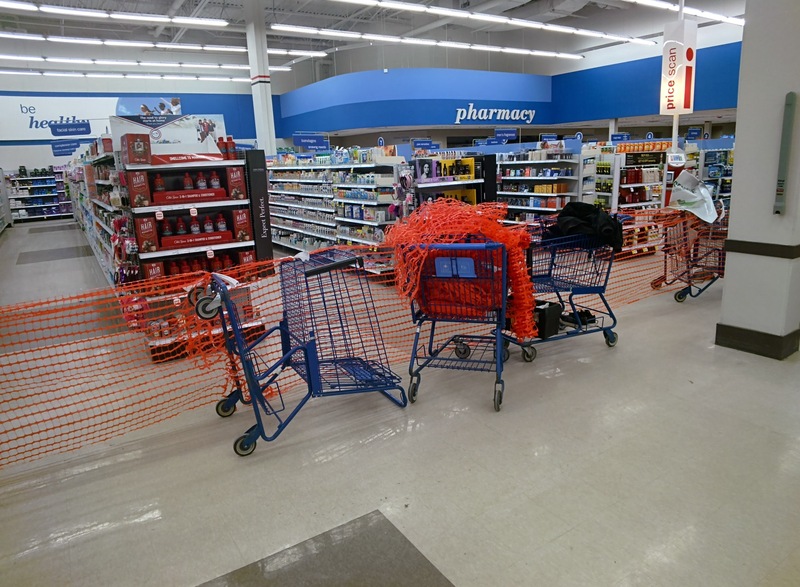 According to several news reports, shoppers even refused to leave the store during the police investigation, claiming they had been standing in line all night and had a right to be there. No amount or style of advertising is responsible for that kind of ruthless, cold-hearted sentiment. Ads don’t kill people, people kill people. I know WalMart has a bad reputation with a lot of people but I don’t care. You can’t beat their prices and I’m usually satisfied with their customer service. Recently, however, I had a bad experience at a local WalMart store while trying to get a price adjustment for a product that had dropped $20 soon after I bought it. I had a run-in with an associate who tried to be helpful but wasn’t trained properly and her supervisor who was trained but not interested in being helpful. So I went to WalMart’s web site where you can contact them. I sent a rather scathing note with my complaints outlined. It took a few days before I heard anything, which, honestly, is better than the stupid auto-reply emails most corporations send you. When I did hear something, it was from “Steve at WalMart” who called my house during the day when I wasn’t home because I was out working so I could afford to buy things, at WalMart and elsewhere. Anyway, after a couple of days of voicemails, I didn’t hear from Steve again — until yesterday. Steve sent a great customer-service letter telling me how sorry he was about what happened and that he decided to write after not being able to reach me via phone. He also enclosed a money order that took care of my price adjustment. It turns out Steve is the local store manager. So, WalMart’s online system worked. The complaint was routed to the local manager who was empowered to address the situation, and he did. See, Corporate America? Customer service isn’t that hard and even when there’s a screw-up, you can still make amends with good service to keep a customer. I’ll be sending Steve a thank you note. Customer service is about gratitude for someone’s business — and receiving good customer service these days deserves some gratitude as well.